Rustic strap hinges, which are offered by rensup, specialize mostly in period hardware and give an impression as if they're made by a blacksmith's hammer. these wrought iron pieces quite often look hand forged as if any skilled artisan has turned out any quality wares. These pieces also look like the wrong end of any bygone sword. These pieces are basically available in three basic designs catering to medieval, colonial and Old West. These handsome wrought iron durable hinges are sometimes handmade and each model replicates yesteryear ornate designs. 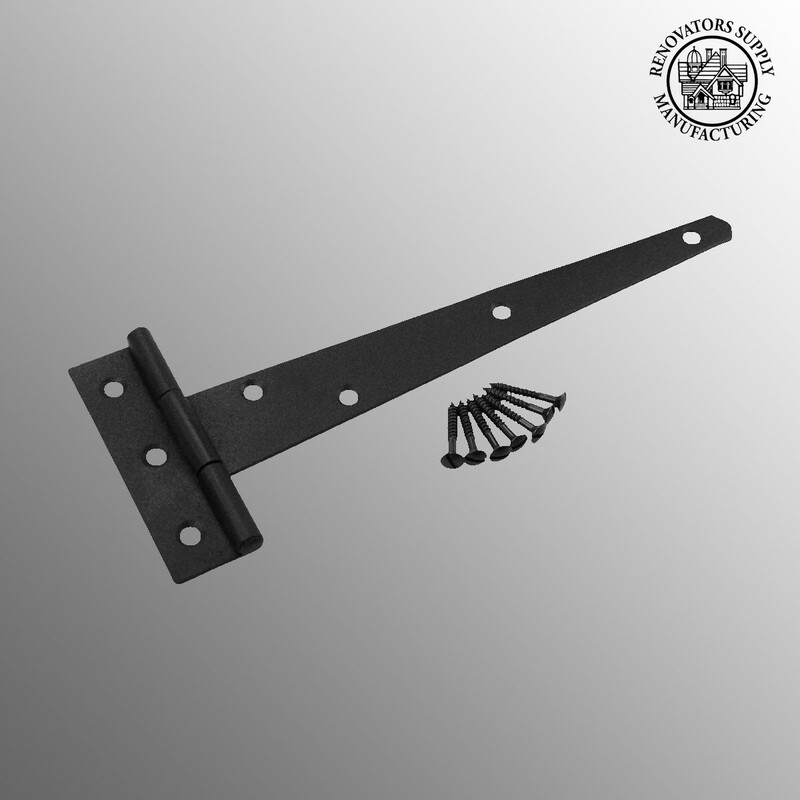 The rustic strap hinges are not only functional but are durable enough to sustain extreme weather conditions. These wrought iron pieces are mostly used in gates and windows, so as to fix them in their respective boxes. 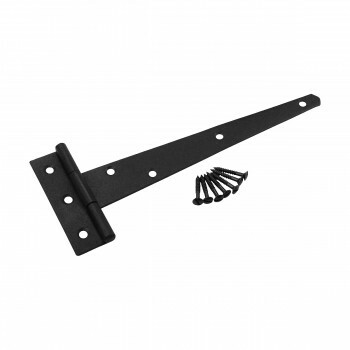 The Wrought Iron Tee Hinge with RSF finish is one of the most commonly used hinges, featuring a T-shaped wrought iron hinge and available with mounting hardware. I bought some smaller hinges for a storage-area door and didn't look quite right so I got these larger hinges. They look great and work fine. They are described as "heavy duty." I'm not sure I would classify them as truly heavy duty, but they do the job nicely for my purposes. I'm wouldn't use them on a large gate or something like that. My door is probably 4 feet by 4 feet and framed with 2 by 4s, so it's fairly heavy. This is a good product. That seller follows up with an email which is a nice touch. Arrived on time, I wasn't misleaed, and I love the look that they give the fence... purely decorative and add a real nice touch.